The Nigerian government has announced new charges on high end products including private jets, yachts and champagnes, in a move the government says will force the rich to pay more to help the country deal with falling oil price. 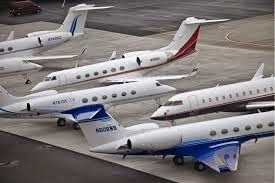 New private jets will henceforth attract a 10 percent import surcharge, and will generate an estimated N3.7 billion yearly, finance minister, Ngozi Okonjo-Iweala, said Wednesday. Luxury yachts will attract 39 percent import surcharge with an estimated annual yield of N1.6 billion, while luxury cars will attract five percent surcharge and a yearly yield of about N2.6 billion. Ms. Okonjo-Iweala said a three percent charge on champagnes, wines and spirits will yield about N2.3 billion. Also, a mansion in Abuja, worth N300 million and above, will henceforth attract a charge of one percent, referred to as FCT Mansion Tax. The government expects to generate about N360 million from this. The government expects to raise up N10.56 billion from the surcharges.